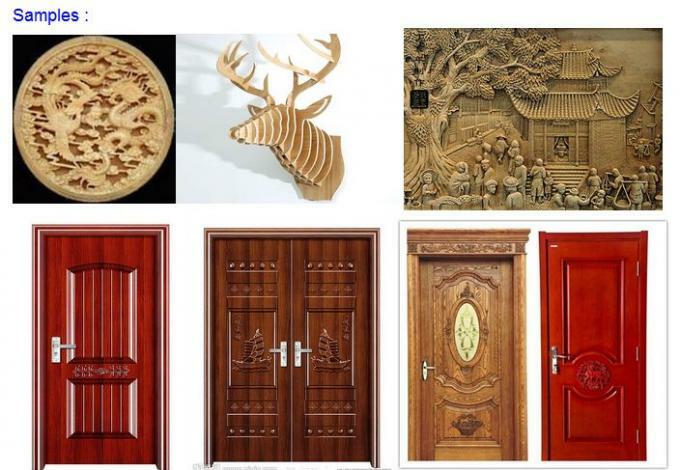 1.Woodworking, wave plate, cabinet doors, solid wood doors,arty doors, paint-free doors, arty windows, and panels, PC desk or panel furniture decorations. 2.Advertising, signs, acrylic cutting, plastic molds and etc. 3.Mold, carving on brass, aluminum, PVC. 1.Seamless steel structure machine, without deformation. 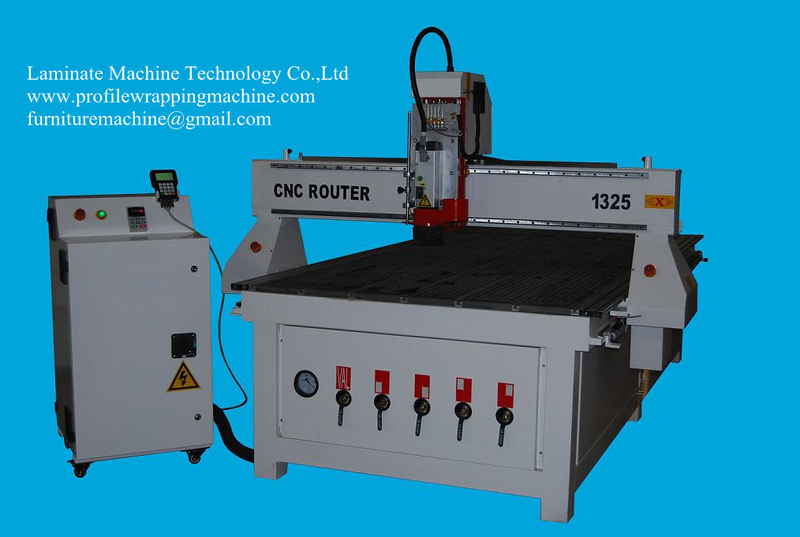 Machine body surface all spray model, beautiful generous, endure cauterization. 2.Gantry moving structure. Stable rack and pinion transmission ensures a long time running without shake. 3.Domestic lead air cooling spindle motor, long life time and high speed . Imported HSD spindle is optional. 4.High-qualtiy Taiwan square rails, loading capacity of large, smooth operation and high precision, high-strength rails to ensure the quality of mechanical precision and wear resistance, high service life of more than 10 ordinary guide times. 5.The Z-axis is driven by the ball screw rod with original screw nut. Its travel is up to 200mm. 6.Better software compatibility, compatible type3/artcam/Wentai and so on CAD/CAM design software.